The Dominican film, “Jaque Mate,” will premier on the opening night of this year´s Film Festival, Wednesday November 16, at the National Theater. This is the first film made by young Dominican filmmaker, José María Cabral. 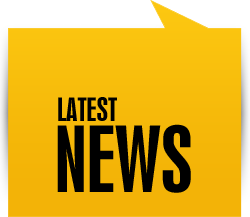 The Dominican Republic Global Film Festival (DRGFF) will inaugurate this year´s 2011 edition at the National Theater with Dominican film, “Jaque Mate”, DRGFF organizers announced on Tuesday. Now in its fifth year, the DRGFF´s blue carpet opening will officially kick off the most important film festival in the Caribbean on Wednesday November 16 with the premier of this Dominican-made drama. 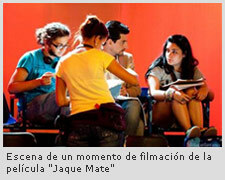 “Jaque Mate” features a talented and popular cast and crew of Dominican and Caribbean film professionals and actors including Adrián Mas, Michelle Vargas, Frank Perozo, Sharlene Taule, Alfonso Rodríguez, Sergio Carlo, Evelyna Rodríguez, Luis Nova and Olga Bucarrelli. Following their walk on the blue carpet, this year’s DRGFF identifying color, the cast and crew will attend the Festival’s inaugural ceremony. This year’s DRGFF will be featuring a total of 62 films and 16 shorts running from November 15 to 20th in five Dominican cities: Santo Domingo, Santiago, Puerto Plata, Higüey, Nagua and Haiti’s capital Port au Prince. “Jaque Mate” (Checkmate) is the story of David, a popular host on one of most watched television talk shows in the Caribbean. In his phone-in segment with the viewers, David is surprised by a male caller who claims to have David’s wife and son kidnapped in their home. The kidnapper forces David to go along with the game, forbidding him to cut to a commercial break, to hang up and to play along with his “game” under the threat that he will kill his family. The suspense remains high as the kidnapper’s game pushes the envelope and reveals what is behind one of the most widely viewed kidnappings in the world as David’s secrets become public on live TV. Director, José María Cabral, wrote and directed his first film with a reliance on the acting talent of his Dominican cast, say the directors of the Dominican Global Film Festival who have witnessed the growth and commitment of Dominican talent since the first Film Festival which has consistently screened Dominican productions. Last year, the DRFGG premiered Dominican film, “La Hija Natural,” by Leticia Tonos, as well as the closing film, “Tres al Rescate,” which is the first ever Dominican 3-D production. In addition, every year the DRGFF organizes a Short Film Contest, with 11 finalists whose films are shown during the Festival in all venue cities. This program, which serves to stimulate and encourage Dominican filmmakers and develop the national film industry, has grown each year with more and more entrants. This year’s Contest organizers chose the 11 finalists from among a pre-selection of 44 films.